Although we like to think that Manhattan is the center of the world, truth be told there are a lot of cool things happening across the East River. We’re talking about Williamsburg, Brooklyn, forever infamous as the hipster enclave of NYC. But don’t let that deter you. 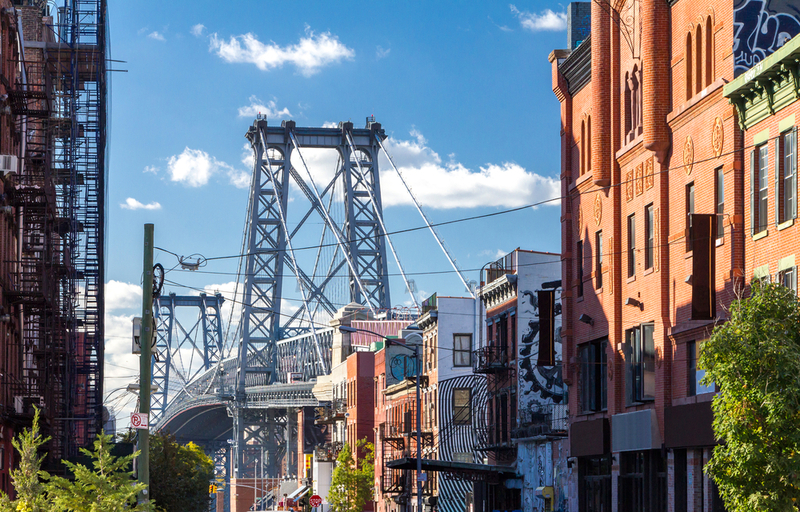 While the hipster fad might be fading, the area still comes with some of the city’s best restaurants, coolest novelty shops, and festivals that are well worth the trip across the Williamsburg Bridge. That said, here are some highlights you should check out in Williamsburg during your stay at The New Yorker Hotel. In Williamsburg, you’ll want to eat - and then eat some more. Start off with Smorgasburg, a food festival held every Saturday in East River Park. More than 70 local food vendors participate each week, sharing some of their signature dishes. Smorgasburg is a perfect place to get a taste of Williamsburg’s best restaurants - so you can visit them later. Speaking of restaurants, a few of our favorites that you must try while in Brooklyn are Pies ‘n’ Thighs for its Southern-style fried chicken and Roberta’s, famous for its Bee Sting pizza pie. It’s technically in Bushwick, but after you taste their pizza, you won’t mind the extra trip. See & Do Shopping is a must while in Williamsburg. This enclave of North Brooklyn is New York’s go-to spot when it comes to one-of-a-kind boutiques and vintage finds. 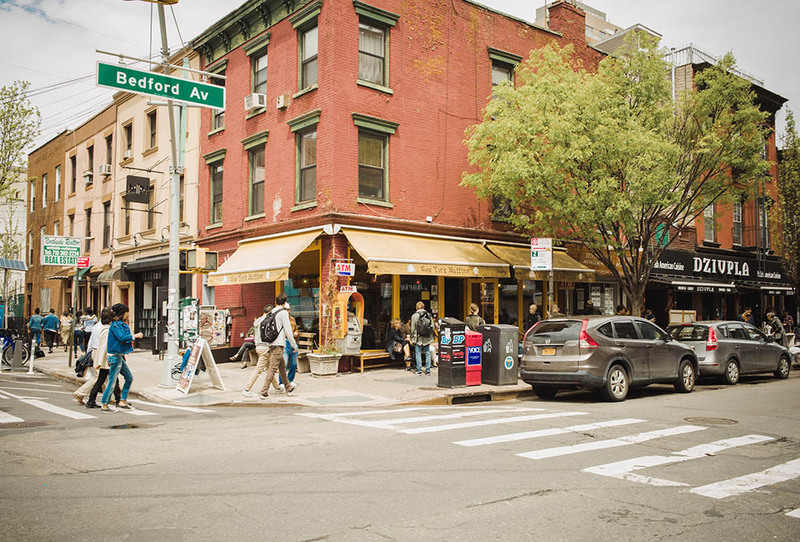 Start on Bedford Avenue, where many of Williamsburg’s most talked about shops can be found. Here you’ll come across Catbird, a handmade jewelry boutique, and Pinkyotto, a popular clothing boutique. Also worth checking out is Brooklyn Brewery, which does small batch tours Monday through Thursday. On weekends, the tasting room is open to the public. Here you can tour the iconic brewery, synonymous with the craft beer movement in the city. Another fun activity is a trip to Brooklyn Bowl. Part bowling alley, music venue, and restaurant, there’s always something going on at this hot spot. Getting to Williamsburg from The New Yorker Hotel is super simple. Just walk south down 8th Avenue (the block on which The New Yorker is located) toward 34th Street. There you’ll find the 34th St. - Penn Station stop, right on the corner. From there take either the A, C, or E trains until you reach the 14th St. - 8th Av. stop, which is a transfer for the L train. Transfer to the L train, direction Canarsie - Rockaway Pkwy, and ride the L until you reach Bedford Av, which is your final stop. Once you make it above ground at the Bedford Av. 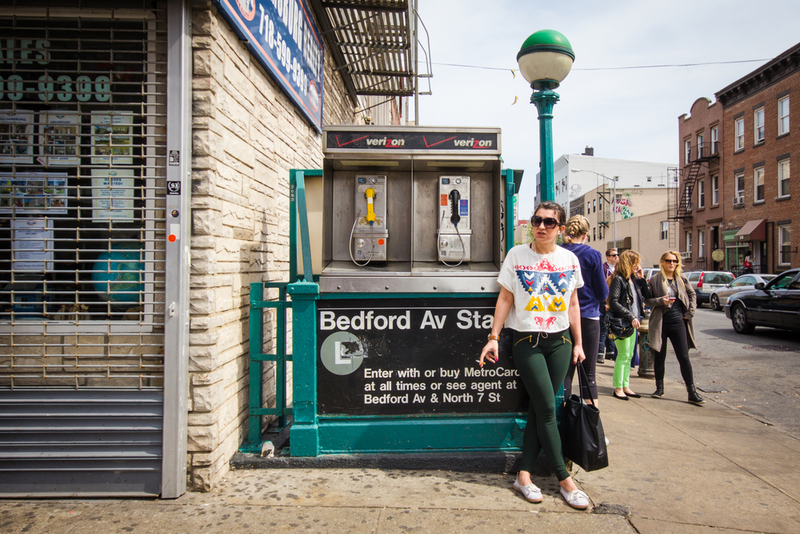 Station, you’ll find yourself in the heart of Williamsburg, ready to explore.